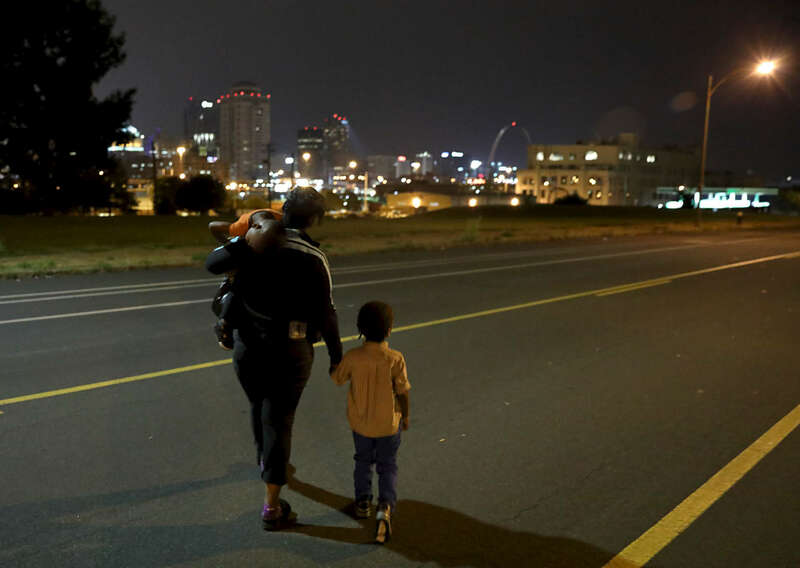 Donna Green and her sons Chris Allen (right), 3, and Donovan Allen, 2, crosses Chouteau Avenue shortly before 5 a.m. in the morning as they head to the bus stop on Monday, Aug. 14, 2017. Green works at a McDonalds in north St. Louis County and needs to leave her home in St. Louis City before 5 a.m. to catch two buses to drop her children at daycare. She then takes another bus to work.